I had a rare night out… I even went all the way to Dublin for it and it was so worth it. I got together with a fantastic group of bloggers, some I had met before, some I knew only virtually. We all descended on the Odessa for the Inaugural Glenisk Irish Parenting Blog Awards. There was great food accompanied by flowing wine and even more flowing conversation and some fun games and entertainment between courses to keep us all amused. It was all so enjoyable it was easy to forget that the awards were still to come. For that part we moved up to the roof top bar, a perfect location for the intimate and entertaining awards ceremony to continue. Sylda from Mind the Baby was the MC for the night (a natural), ably assisted by Lisa from Mama.ie, and then there was Deborah (At the Clothes Line) providing the atmospheric music. The winners for each category were announced swiftly, with intermittent bouts of side splitting entertainment. For example, there was a highly amusing Netflix blogger quiz (House of Blogs)… two teams of three bloggers pitting their wits and knowledge against each other on some bizarre details from the wealth of IPB member’s blogs. Other laughs were of the unscheduled type, like when Deb from Fat Deb Slim read out the tongue in cheek acceptance speech prepared by the lovely Emily from Blog the Nest. The finalists in each category were all very talented bloggers, all deserving winners and all so delighted whether they were the winner or the one congratulating. I was a finalist in the Best Special Interest Category, among such amazing blogs as Adopting my own son, Looking for Blue skies, Dairy Free kids and Minis and Mum. With such talent I was genuinely shocked when I was announced as the winner. Needless to say my “acceptance speech” lacked any finesse, humour or coherence what so ever. But what I lacked in words I said with a smile, a very big one. That smile is yet to fade. As all bloggers will testify, to realise anyone is even reading your blog is a compliment in itself, to have your writing acknowledged among peers that you so greatly admire is true delight. The night was a wonderful success, all credit to the amazing work of the organising committee and the fantastic sponsors. Glenisk were the overall sponsors of the event, and I had a wonderful dinner companion in the lovely Nicola Watson representing Netflix. Super Hands Baby sign were the sponsors of the category my blog was in. The possibility of opening a dialogue with your child before they have learned to talk is an idea that fascinates me. I wish I had been aware of baby signing when my children were young. I love the idea of being able to communicate with your little one before they begin to speak. I imagine it can help to strengthen bonds and ease frustration but, what struck me when I first hear about it was that it may alter the time frame of the child’s earliest memory. This is a topic I am curious about and have researched and written on before. I wonder will future studies show that people who used baby sign in their infancy report earlier memories than those that don’t. One factor reported to influence when our earliest memories are finally anchored is our ability to have words or means to describe these early events. 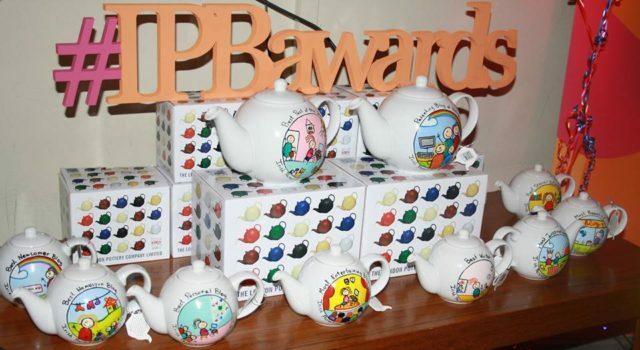 One final mention about the awards night… the beautiful teapot trophies that each winner got to take home were created by fellow Irish Parenting Blogger, Patricia, from Colorines Wonderful. 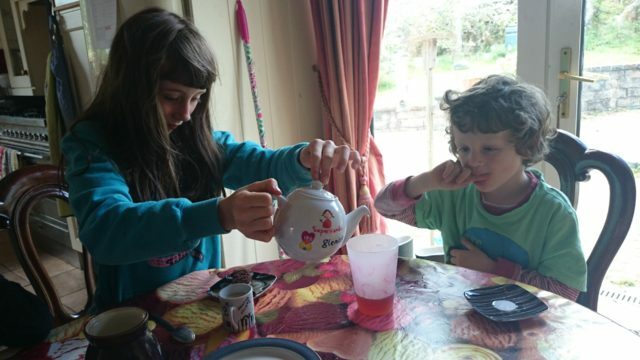 My lovely teapot was christened the moment I arrived home, with my five year old declaring it was time for tea. 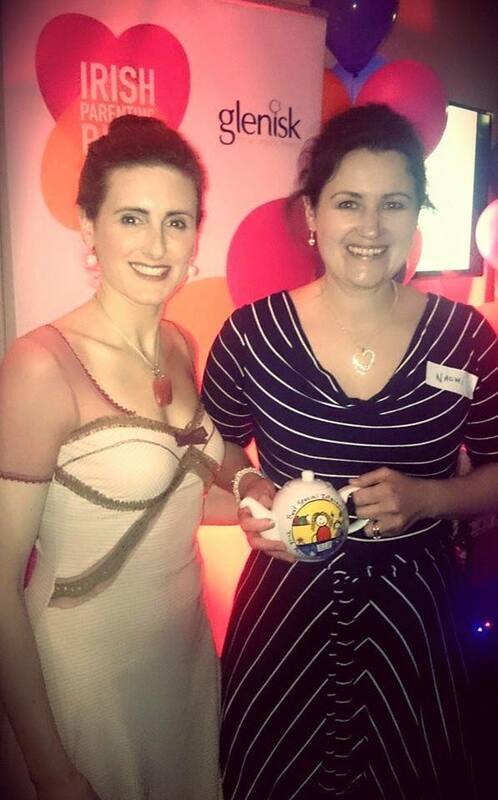 Pingback: Irish Parenting Bloggers | #IPBAwards 2015 – how did we do? Thanks Deb and you too, I hope the knee is recovering well! Delighted for you, congratulations again. And right back at you Emily but wish you had been there… next year for sure!